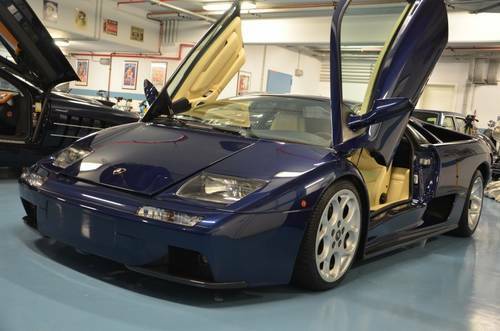 We are pleased to offer this wonderful appreciating hyper car. 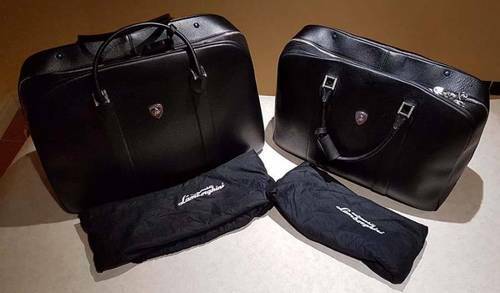 The Lamborghini Diablo VT 6.0 is the last and the very best of the Diablo series and for many the last original Italian made Lambo before they became part of the VW group. This example offered here today is a car we sold twice before and we know for many years. 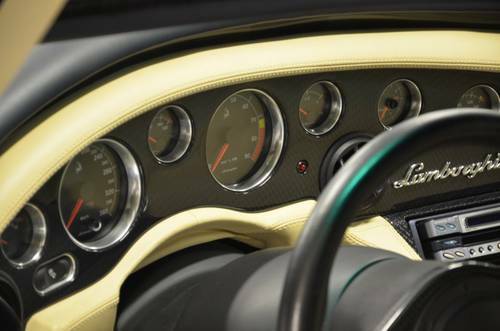 It comes with only 18.000 original KM on the clock and a recent service of 28.000euros at Lamborghini Germany. Today with German registration and a recent TUEV this car is part of a large European collection. 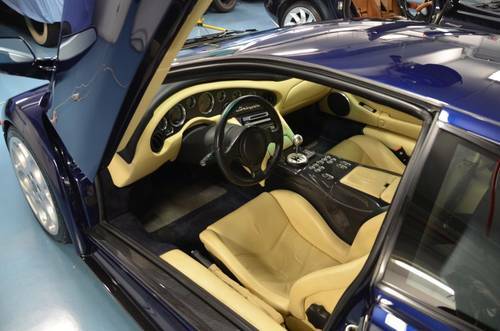 Finished in dark blue met and combined with light beige interior this Diablo VT 6.0 is one of the rarest in the world. Buy now one of the very best out there. Genuine spare parts, never used, originally for SVR #16 of the 31 built by the factory for the Philippe Charriol Supersport trophy in 1996. 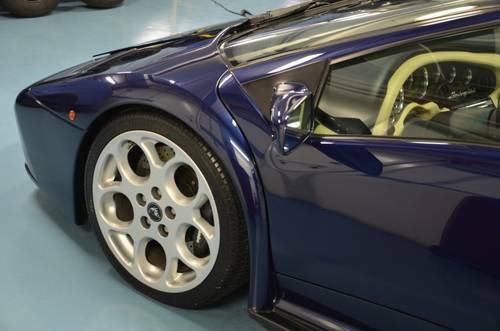 Spares include brake discs, centre hubs and nuts, suspension parts, HT electrical harness and front lip.